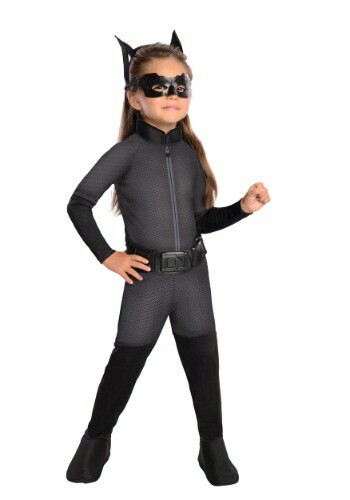 If you kind of feel like you're toddler isn't quite pulling her weight around the household, why not set her up with this Catwoman costume? Sure, it's not going to help her be ready to do chores, but she will be able to sneak around the neighborhood and start her career as a cat-burglar. Just imagine how much some precious jewelry will help out with your rainy day fund! Okay, so that might be kind of nefarious (and just a little bit illegal) so allow us to suggest just dressing her up for fun. She'll have a blast as the famous Batman villain, and we're sure she'll be plenty willing to help out at home when she gets a little bit older.